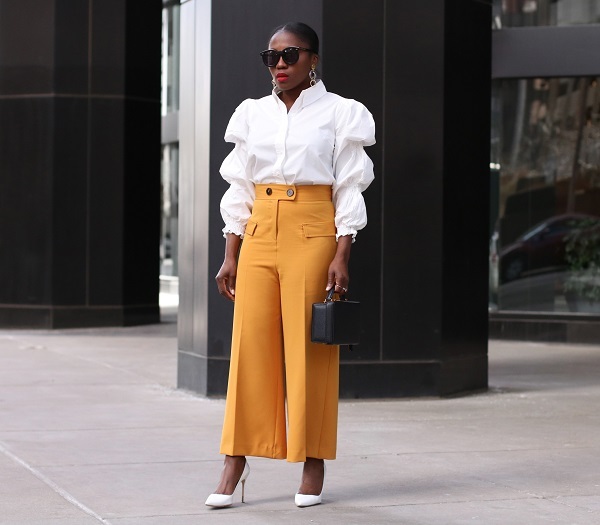 An exaggerated sleeve blouse over a pair of cropped golden yellow colored utility pants…. 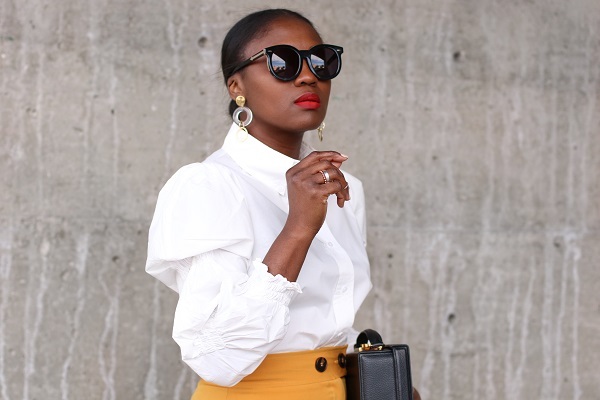 a seasonal and chic option to the everyday basic. 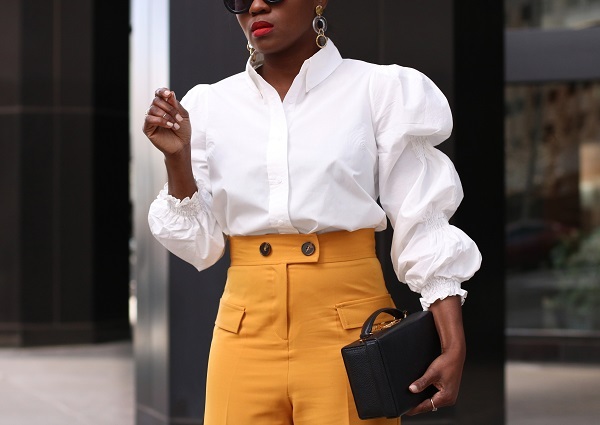 I am a huge fan of white buttoned shirts, I may even call myself a collector of such pieces; as simple or detailed as they might be, they are wonderful go to pieces for a day or night look. 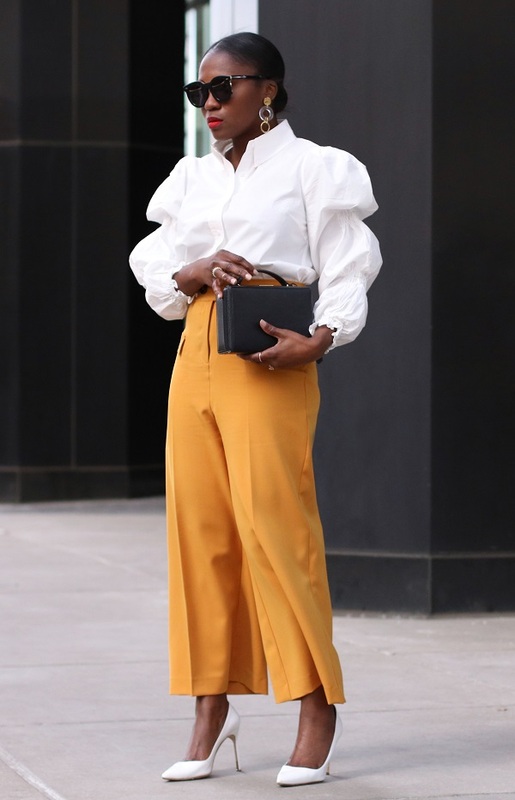 A uniform look here broken with the use of black accessories, a complimentary hue to the golden yellow colored pants. 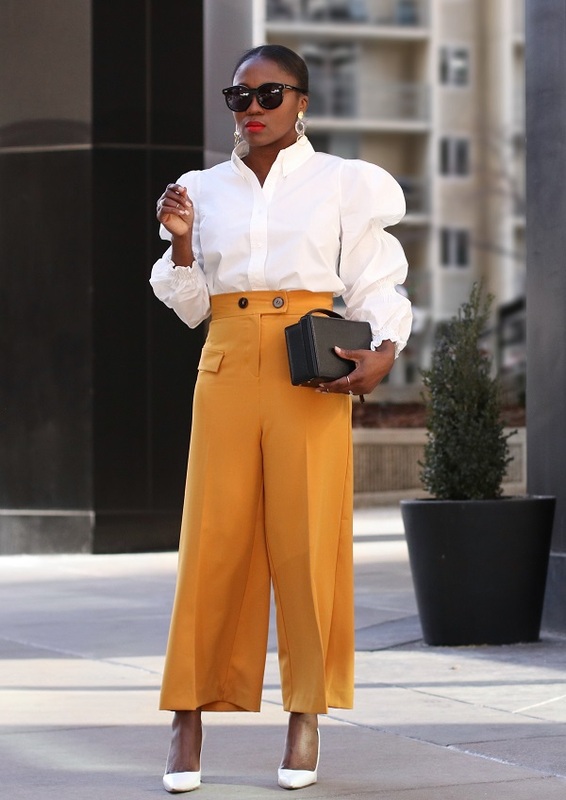 Make the switch from the basic black pants for this rich hue pants and you may never go back, the color and fit are quite amazing. Have a wonderful Wednesday darlings!